If you own a website and wish to get involved with affiliate marketing programs, you can sign up for the programs offered by some of the popular E-commerce stores and one of them is Shopify. Whether you are stepping into the affiliate marketing field for the first time, or you want to add them to your existing portfolio, Shopify’s Affiliate program is suitable for all. All you need to know is how to make most of the Shopify affiliate marketing program. To make the most of it, you would also need to use an effective affiliate marketing software such as, LeadDyno that has formed a partnership with Shopify. While it can be integrated with Shopify to get an affiliate program going to your online Shopify shop, it will also keep a track of your traffic on the Shopify shop and the conversions effectively. No, it may not be the best program on earth, however, it definitely has its set of advantages. While there are many e-commerce websites offering affiliate programs these days, Shopify has emerged popular among the mass due to its versatility, comprehensive features, and the ever-evolving products and offerings and has been the leader since 2013. So, let’s see how to take advantage of the affiliate program offered by and make money out of it. What is Shopify known for? It’s a complete e-commerce solution that helps businesses to sell their products by setting up an online store. Not just that, it also allows you to organize your offerings, customize the store, accept payments via credit cards, and even track and acknowledge orders in just a few clicks. It works great for online stores that sell goods or service in both physical and digital categories, and that does not need much of configuration. The platform offers compelling in-built support for variants that includes the power to connect the product alternatives, but the only downside is that it caps at 100 variants for each product. So, in a nutshell, Shopify works great for those selling products with few variations of few sizes, materials, and colors. Moreover, Shopify works great for those online stores that which sell only a small number of products. Yes, it can be even one product. In order to complete sales easily, you can use any of themes offered by Shopify on the homepage helping you sell right from the homepage. 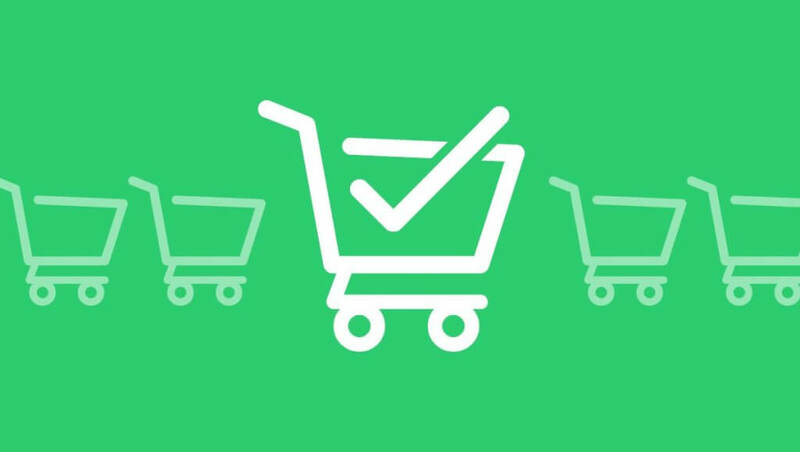 If your store has a considerably large supply, you can leverage the themes offered by Shopify that come with features that help you organize products – multi-tag filtering for the sidebar, and a flexible option to build product collections You can also take advantage of the mega menu feature that can be customized especially if you are selling a wide range of products. There are a number of built-in tools in the offering at Shopify that can match with wide-ranging business models and marketing strategies that enables you to display the price and rebates on the products, offer discount coupons boost purchases or offer free shipping, or charge the shipping based on weight, etc. Shopify offers a great platform complete with exceptional payment, order fulfillment, supply control, timely shipping systems, and much more. Offers an effective affiliate marketing program that helps you to start earning referral income in simple steps. If you are starting with an E-commerce website and want to know the best practices, Shopify is just the right place for the E-commerce store owners. It has all the tools that can get you started with E-commerce store with a professional setup for free and then offer a partnership deal with their affiliate programs to make money out of your sales. What’s the deal with the Shopify Affiliate Marketing program? The first step is the application procedure with Shopify to partner with their affiliate program and once you are approved for it, you will receive a unique affiliate marketing link that’s shareable on social media, your website, video tutorials, webinars, or however you want to place it. Now is the time to promote the products and the more you do, the more you earn. Shopify offers some easy linking tools and attractive banners that you can take advantage of. The commission offered by Shopify is among the highest in the eCommerce industry. You will be awarded a customer’s paid subscription fee for the first two months that’s a 200% bonus for each of the new referrals (Shopify merchants). That would sum up to $598 on standard plans. For the enterprise plan, you can earn up to 100% bonus that pays $2000 for new Shopify plus referrals. Why use Shopify and its Affiliate Program? Among all the pros and cons, it does offer a bundle of benefits that make it a popular choice for any new or experienced entrepreneur. Shopify is a great platform to get online business fast and easy. It offers all the basic tools that can help beginners to get started with most eCommerce businesses. Using Shopify also allows you to not just sell your products online, but offline as well that is, in a physical store, via mobile phones, or at pop up stores. So, if you wish to start from the scratch or expand your existing business to these channels, this platform can be a great choice for you. The Shopify affiliate marketing programs give a boost to your business and help you earn money for each new referral sale. The commission offered is one of the best in the industry as you have the opportunity to earn up to $2000 per new merchant referral. However, make use of its in-built LeadDyno app that keeps a track of your referrals for transparency and more earnings. You also get access to its wide network of affiliates, experts, fellow merchants, and developers. You can refer to their blog that’s constantly updated with great content guiding you with the best practices related to the marketing of your business, using Shopify, or the affiliate programs. If you have been thinking of getting started with Shopify or the Shopify affiliate programs, you are on the right track. Grow your business with its powerful tools, beautiful themes, and the compelling affiliate programs. So, get started with Shopify today and give that added boost to your business and start earning referrals.